NOLA Gymnastics has partnered with Newman, Sacred Heart, McGehee and Trinity to bring recreational gymnastic classes to their after-school programs. We teach bars, beam, and tumbling using preschool gymnastic equipment. Our Rainbow Ribbon program awards students as they progress and achieve the basic gymnastic skills. Students may participate in Mini-Meet at the end of each semester. Recreational gymnastics classes are open for school-aged girls who want to learn the basics of gymnastics in an open and fun environment. Recreational gymnastics classes are a great way to experience the joy of learning gymnastics without the stress of competitive gymnastics. For those who aspire to compete, it is a starting point to move up through the ranks of higher-level classes to competitive gymnastics. NOLA Gymnastics main facility is at 1725 Dufossat Street. We also teach aftercare gymnastics programs at Newman, Sacred Heart, McGehee and Trinity. Recreational gymnastics classes are for school-aged girls who are interested in learning the basics of the sport in a fun and noncompetitive environment. Classes are arranged somewhat by age; however, within each class, students are grouped by skill level. Instruction is provided on each piece of gymnastics apparatus and all students participate in basic stretching and conditioning. Pre-K and K students enjoy tumbling, beam, bars, vault, wedges, octagon, parachute, rhythmic ribbons, obstacle course, music and fun all done on pre-school equipment. This class includes a hot shot group for kids showing potential for future TEAM. 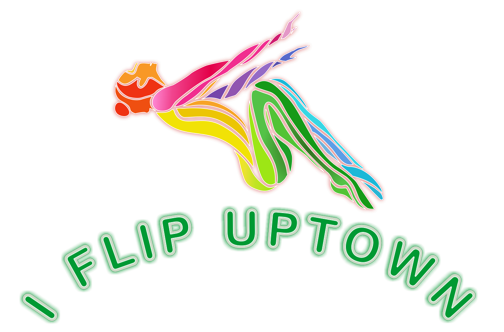 The coaches provide a fun, positive safe and colorful world in which gymnastic can be enjoyed. Classes are entertaining and pressure free. Rainbow ribbons are given as each child achieves a skill. This is an excellent motivational tool that helps a child set goals and provides parent feedback. Students enjoy fitness, tumbling, beam, bars, vault, obstacle course, music and fun. We teach the USA Gymnastics curriculum. Rainbow ribbons are given as each child achieves a skill. This is an excellent motivational tool that helps a child set goals and provides parent feedback. This class is for children who only want to learn tumbling skills. No instruction on apparatuses (vault, bars, beam, floor). Class Goals: Forward Roll, Backward Roll, Handstand, Cartwheel, Hurdle, Round-off, Backbend etc. At the end of each semester there's an optional Mini-Meet competition for all Kinder Gym/Beginner/Intermediate students to participate in. Students may compete against other beginners from Newman, McGehee and Sacred Heart. Competitive gymnastics is not for everyone, but it is very rewarding for those who aspire to challenge themselves. Girls who are interested in competitive gymnastics have several options at NOLA Gymnastics. Every year, we offer a Pre-TEAM, TEAM and a TEAM ACRO program for gymnasts at levels 2 through 9. The skill level and time commitment vary depending on the program. Students are selected by invitation only. Girls will train in USAG Junior Olympic Program and be introduced to Acrobatics. Pre-TEAM gymnasts come to class twice a week, work more seriously on skill perfection than in our recreational program, and spend considerable time improving strength and flexibility. Pre-TEAM gymnasts are introduced to competition through fun and low-key meets, both at home and away. On average, girls spend 1-3 years on the Pre-TEAM level before advancing to the TEAM level. Girls will compete in USAG Junior Olympic Level 2-3-4 against other gymnastic clubs in Louisiana. TEAM gymnasts come to class twice a week. Generally, gymnasts are invited to join the team after mastering skills through our Pre-TEAM program. Gymnasts will compete in sanctioned USAG Local, State, Regional in Levels 2-3-4. National championships in Levels 6 and up. ACRO gymnasts come to class 3 to 5 times a week. Generally, gymnasts are invited to join the team after mastering skills through our TEAM program.